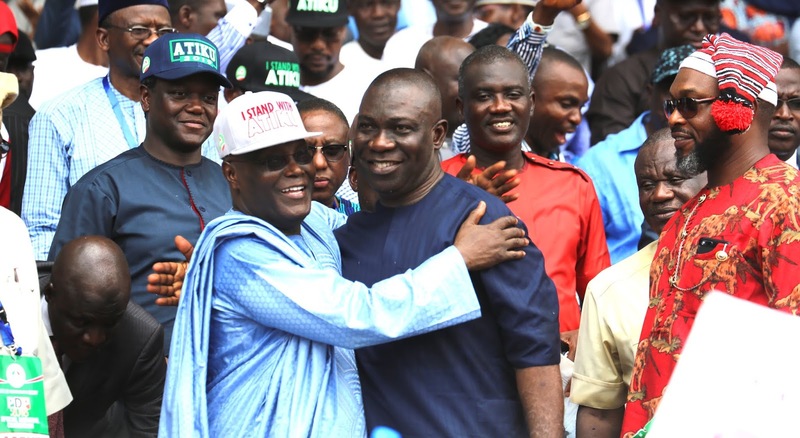 The Deputy President of the Senate, Senator Ike Ekweremadu, has congratulated the winner of the Peoples Democratic Party, PDP, presidential primary election, Alhaji Atiku Abubakar. Ekweremadu also congratulated the other aspirants and the PDP on what he described as "crucial and rancor-free", noting that the process was more important than everything else as all the aspirants were eminently qualified to lead the nation. Reacting to the outcome of the convention, which produced the former Vice President as the winner with 1,532 votes, Ekweremadu said: "I join our teeming party faithful and supporters to congratulate Alhaji Atiku Abubakar, the incoming President of the Federal Republic of Nigeria, by God's grace, on his nomination as the standard-bearer of the PDP in the 2019 presidential election. "This is a watershed and a momentous occasion for the PDP and indeed the nation. "More important in the race was the transparent, free, fair, credible, and peaceful process. "I commend the party leadership and the Convention Planning Committee for giving us one of the best primary elections in Nigeria’s history. "Our party has, by this, demonstrated the full revival of internal democracy and total rebranding for the best democratic ethos. "I commend the aspirants for the maturity, decorum, friendship, and mutual respect that characterised the jostle for the presidential ticket. I urge them and the party faithful to continue to work together for the party's victory in the 2019 general elections. “The mission to rescue Nigeria towers above individual interest and it is one that we cannot afford to fail Nigerians". The Senator said recent elections, despite the temporary setback occasioned by apparent irregularities suffered by the PDP, were clear pointers that Nigerians had already queued behind the PDP to restore the nation on the part of true democracy and progress.